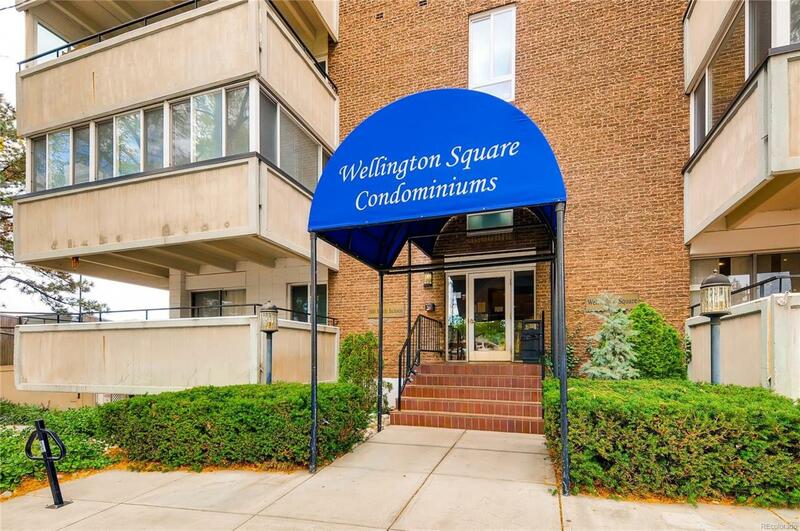 Lovely condo with amazing mountain and city VIEWS in a great building where convenience is unmatched. It is just mile to RTD/Light Rail station with easy access to I-25 which makes getting around town a breeze + shops and restaurants are just 1 block South. This sun-filled unit features all new carpet, ample storage in each room, and an enclosed porch with wall-to-wall windows. The kitchen and bath have been updated with marble tile floors and granite counters and the bedroom window was triple glazed for increased quietness. Fantastic building amenities include a pool & hot tub, well-equipped fitness room, clubroom with billiards and kitchen, and serene outdoor space for grilling and relaxing with friends. On-site management keeps things running smoothly. Shared laundry is located on each floor, just down the hall. Enjoy the convenience of the reserved parking space in the underground community garage + storage locker.